Let’s face it—choosing the right quartz countertop is not a decision to be made lightly, as it can alter the complete look, feel and style of your kitchen. While granite has a classic look, quartz can run the gamut in terms of decorative possibilities. Just in terms of color alone, you can decide from speckled, stone, cement, as well as single-tone hues and even marble look quartz. A quartz countertop is a lifetime investment and is often the focal point in a kitchen, whether in an island where people gather or underneath cabinets near a surrounding sink. But how do you go about making this important decision? Deciding on the right quartz countertop can be easy if you follow some simple guidelines. Step one begins by taking a look around your kitchen and assessing its undertones. Identifying undertones can help you decide which quartz countertop option is best for you and your space. For example, in your kitchen alone—observe the wood tones in your cabinets, as well as the paint or wallpaper on your walls. When you pinpoint a kitchen’s undertones, you can determine if you’re seeking tone-on-tone or complementary colors for your quartz countertop. 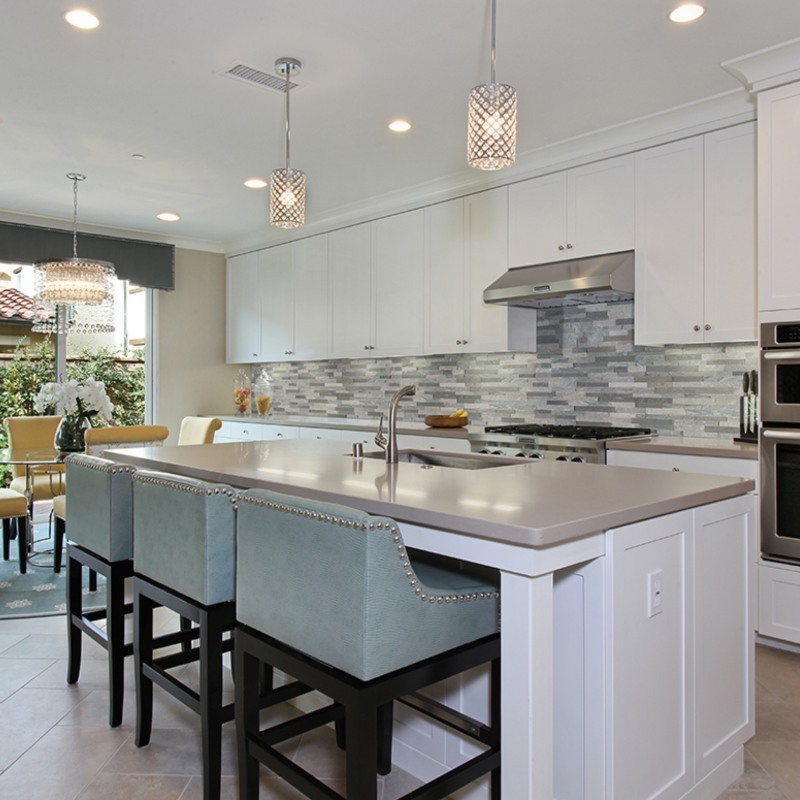 Each are decisions that can highlight certain aspects and qualities of your kitchen. If you have white cabinets, the good news is your options are truly wide open when it comes to style, color, and finish. 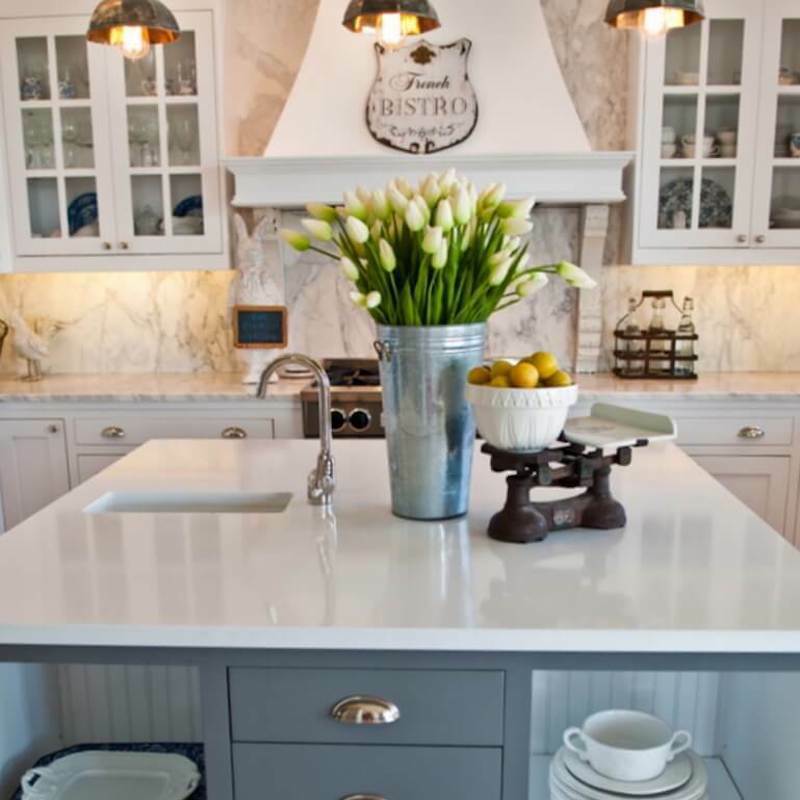 Opting for a white quartz countertop is a popular choice, as it goes with just about anything, regardless of a space’s undertones. Stellar White Quartz is a favorite, as its soft white background is heightened with character and dimension with refined black flecks. Known for being durable and easy-to-clean, this pick is ideal for urban chic kitchens with an industrial design. Many consider white quartz to be a minimalist approach, as well, particularly since the softly flecked gray blends harmoniously with brass accents. The richness holds its own without coming across as rigid, something dinner guests appreciate when gathering around a kitchen island! Bottom line—flecked soft whites are ideal with traditional interiors, especially if you want the space to look spacious and light without crossing a line into something sterile and clinical. And an added bonus is not every speck of dust will show—making it well worth the quartz countertop cost! 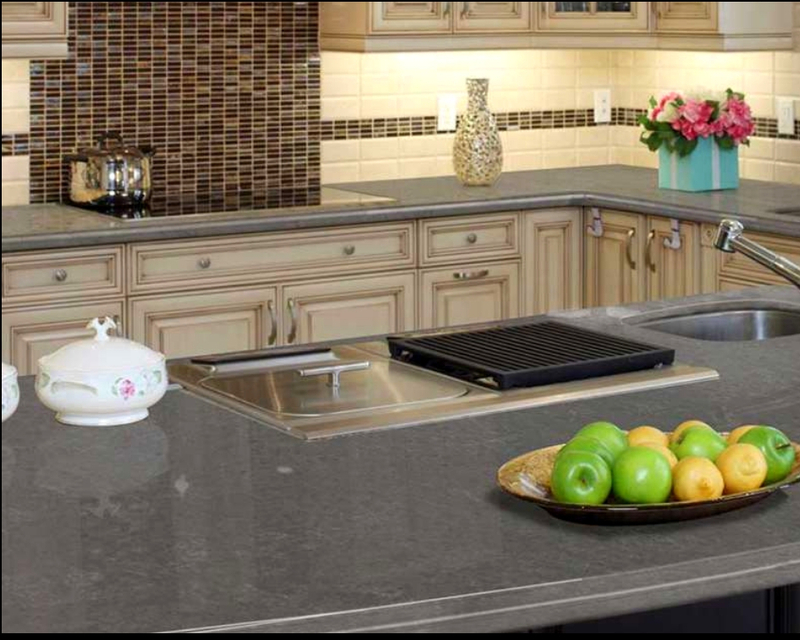 Gray quartz is a top pick for those seeking a more neutral option in terms of color and style. For example, Iced Gray, in particular, has the quality of a hip monochromatic look thanks to a smoky gray background with pewter specks. 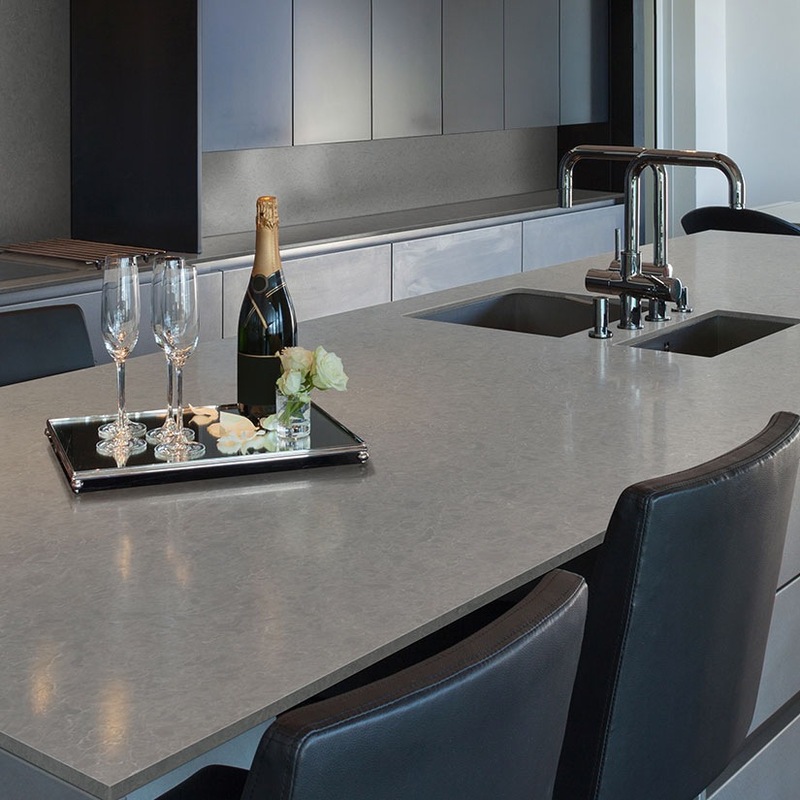 Gray quartz, in general, has a look similar to concrete and is ideal for contemporary spaces. Additionally, it can mask the occasional spill or speck or dirt while still looking neat and tidy. Thankfully, the gray itself is not too dark or busy and is an excellent pairing with colorful cabinets. Furthermore, a marble gray quartz countertop can pair beautifully with warm metallic accents, ideal for brassy sinks that shine prominently in bathrooms and kitchens. On the whole, gray quartz is a great choice if you have a black and white theme that could use some softening or colorful cabinetry that need a grounded and muted center. Vena Carbona is a dark and richly intricate stone that feels less dramatic when paired with dark cabinets. This is ideal to attain a soft and friendly vibe with muted tones, perfect for a kitchen island and contrasted with a steel sink. The finish and edging of a quartz countertop is also important, as many—especially the cement-looking ones—come in a matte finish. While a squared edge is typical with this type of countertop, mixing up with half bullnose or round-over cuts may be the size and shape you’re seeking to go along with the rest of your kitchen décor. Rounded edges are more forgiving and less prone to chipping than square edges are, which is valuable to keep in mind since these countertops last a lifetime. Laminated edges are also a possibility for those seeking a lasting shine but often cost more—as do waterfall edges—since they are more detailed. 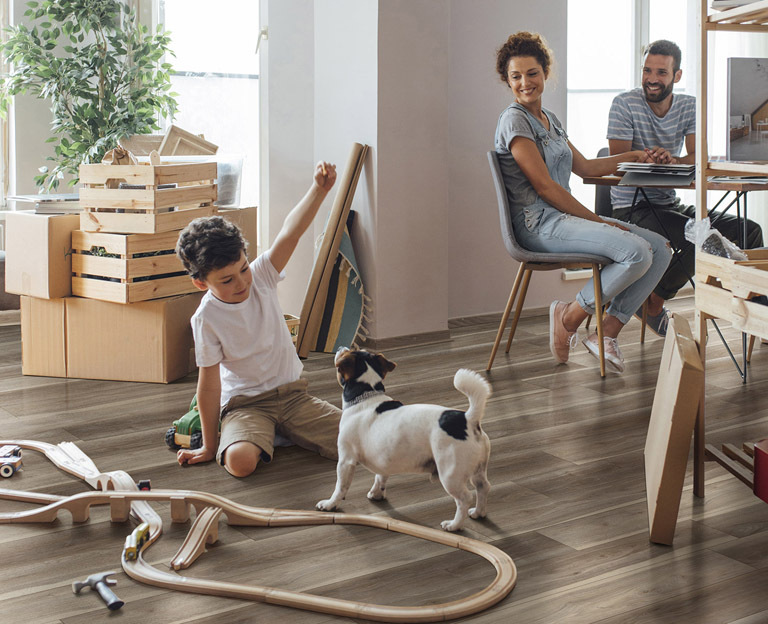 Chantilly Taupe is ideal for residential and commercial projects and appeals to a vast audience with the harmonization of its three colors—beige, taupe and gray. Notice how the three swirls together to create an intricate and varied design, making it a great pairing with wood cabinets that give off the impression of deep, rich oak. Chantilly Taupe Quartz provides the best of both worlds—the easy-to-clean and low-maintenance reality of quartz with the striking look of natural stone, which is sure to garner attention and compliments. 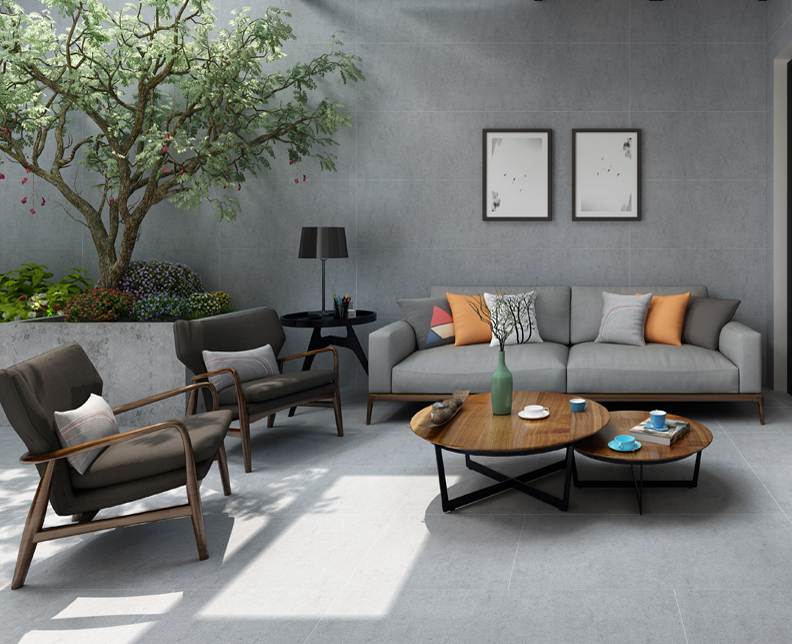 Whether you’re aiming to integrate this into countertops or backsplashes, the versatile aesthetic lends itself to perfect pairings across a wide spectrum of creative preferences and architectural design. The edging of quartz countertops are also important, as many—especially the cement-looking ones—come in a matte finish. While a squared edge is typical with this type of countertop, mixing up with half bullnose or round-over cuts may be the size and shape you’re seeking to go along with the rest of your kitchen décor. Rounded edges are more forgiving and less prone to chipping than square edges are, which is valuable to keep in mind since these countertops last a lifetime. At the end of the day, when deciding upon your quartz countertop, remember that it can most certainly last a lifetime—and then some. 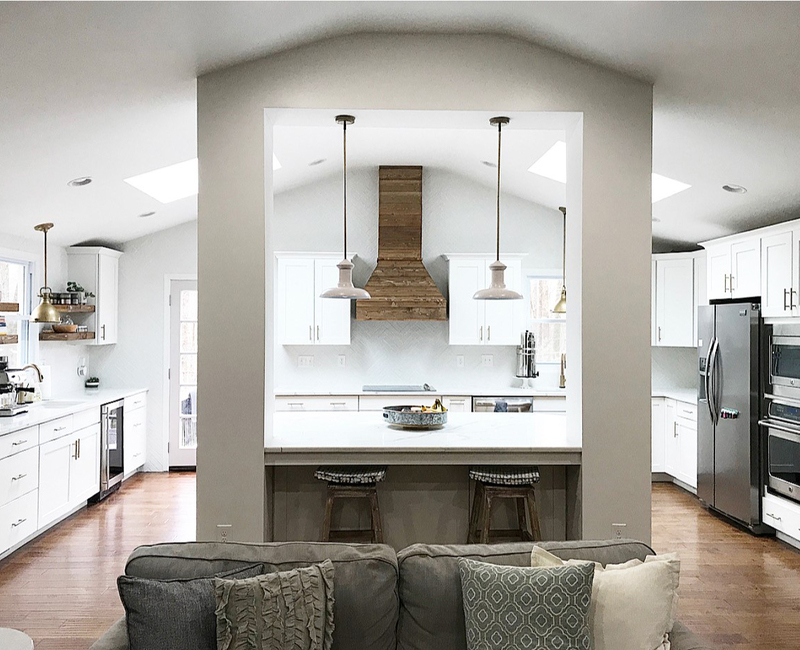 So, you want to envision your kitchen in 20 to 30 years, especially a color and edging and finish that can stand the test of time, considering it will be with you for as long as you let it. Cabinet colors and metallic or stainless-steel sinks may come and go, but deciding on a versatile and preferred fit for your quartz countertop is a process worth approaching with careful deliberation and thought. Thankfully, the world of quartz countertop is rich with exciting possibilities that are sure to compliment and even transform a space.